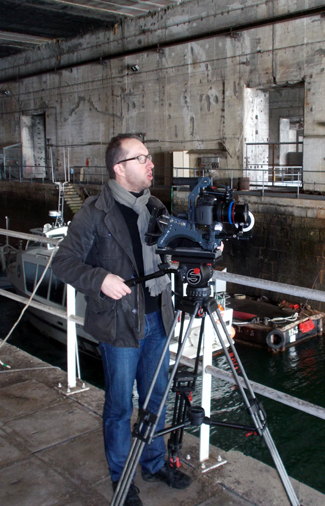 On Monday, January 6, 2014 in the Brest naval base was shot the last part of « Les Fantômes de la Manche » Ghosts of the Channel), a 52-minute documentary directed by C-3D Convergence images company from Rouen having to subject a land and underwater human adventure amid the action of the German submarine weapon after the Allied landing in Normandy on June 6, 1944. This operation followed the trips of 2012-2013 in Germany and then in Normandy. 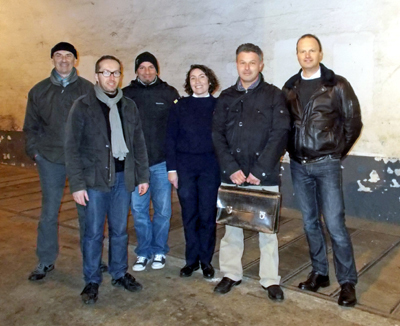 Early this year, the Marine nationale, in the person of lieutenant de vaisseau Ingrid Parrot, deputy communications officer, exceptionally opened the doors of the former German submarine base so that the team, consisting of Alban Vian, director and producer ; Bruno Delande, sound operator ; stakeholders Mark and Luke Braeuer, curators of the Mémorial de Quinéville, the Grand Blockhaus museum in Batz-sur-Mer and the La Rochelle Bunker ; and Jean-Louis Maurette, team-member and diver of l'Expédition Scyllias, can achieve the latest images of the original document to be presented to the public in June, on the occasion of the commemoration of the Normandy landings, and distributed initially on France 3 chanel. 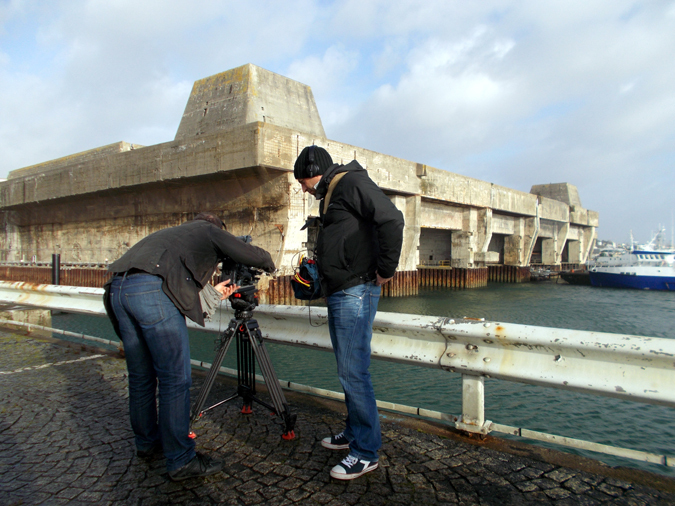 On the left : Alban Vian et Bruno Delande are filming the former submarine base. On the right : Alban Vian, manager of C-3D Convergence images, producer and director. 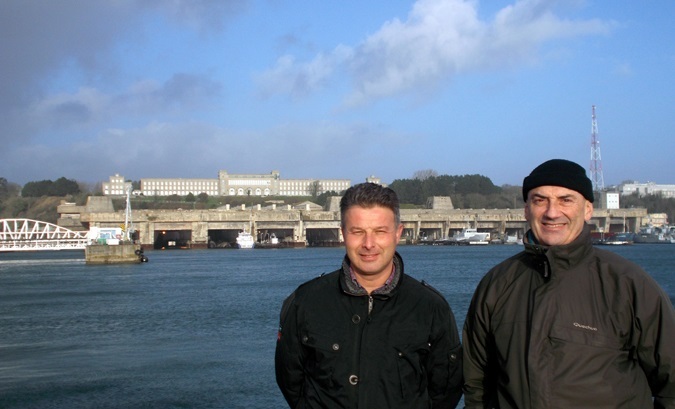 On the left : Luc and Marc Braeuer, curators of the Mémorial de Quinéville, the Grand Blockhaus museum in Batz-sur-Mer and the La Rochelle Bunker, in front of the former cruiser helicopter-carrier, school-ship of the Marine nationale Jeanne d'Arc waiting to be dismantled. 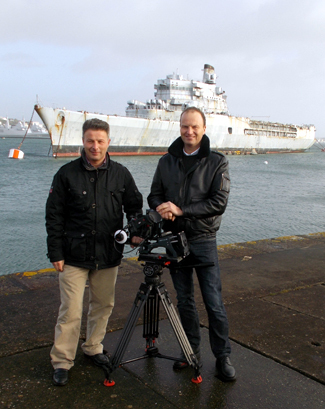 On the right : Luc Braeuer and Jean-Louis Maurette in front of the former submarine base. In the background one can see the buildings of the former Navy school nowadays occupied by the centre d'instruction naval.